one for family and close friends and other for games and application. 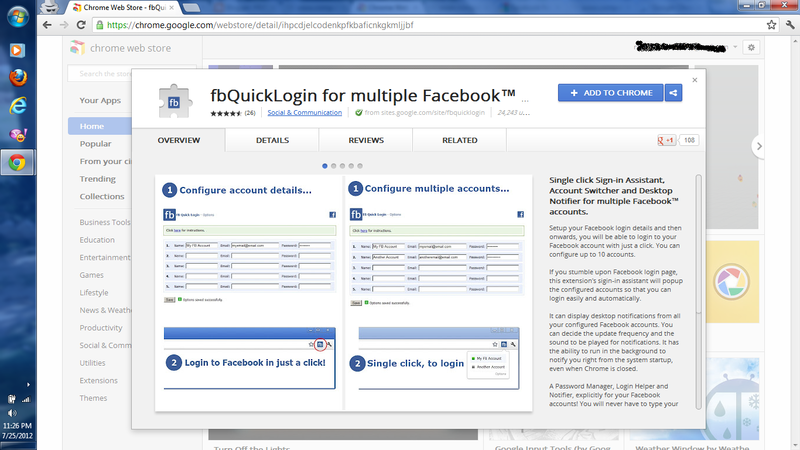 so to manage all account you need multiple browser for automatic login. or doing on one browser it required login and logout with multiple account to access them . 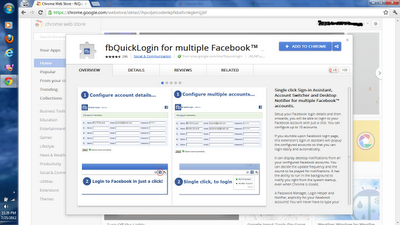 This google chrome extension allow you to manage upto 5 facebook account at the same time. This extension is also safe because pasword are encryped and stored only on your computer. Moreover, it can enter the data access and change our profile for each account with a click from facebook.